A new pilot program joined by Apple. Fitbit, and others will relax some rules and regulations. Apple, Fitbit, and Samsung may be competing for smartwatch sales, but the companies have similar issues when it comes to health advancements in their wearables: too much red tape. Now the three companies are part of a new government-run pilot program that aims to change that. The Food and Drug Administration has selected nine tech companies out of a pool of more than 100 to participate in the program, which aims to fast-track health innovations in software and products. The companies participating in the program will have an advantage when it comes to the months-long application and review process for new health products. "We need to modernize our regulatory framework so that it matches the kind of innovation we’re being asked to evaluate, and helps foster beneficial technology while ensuring that consumers have access to high-quality, safe and effective digital health devices,” said FDA Commissioner Scott Gottlieb. Apple’s health ambitions for Apple Watch have long been documented, with reports saying the company has wanted to include glucose monitoring on Apple Watch. Recently, Tim Cook told CNBC that he was testing a continuous glucose monitor on his Apple Watch, but it has yet to reach a shipping product. And even before Apple Watch, the company launched a HealthKit API to centralize data from various wellness devices. 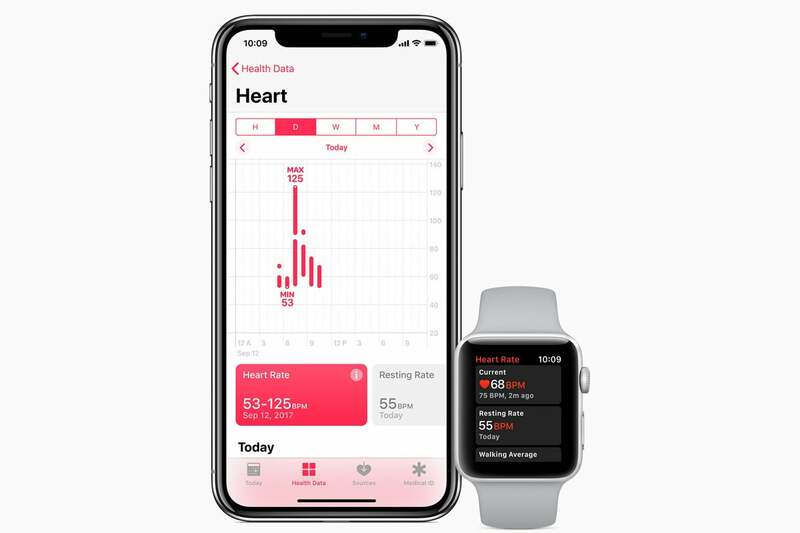 Apple also announced at its recent iPhone event that it plans to study arrhythmias using Apple Watch for a future update. Additionally, Fitbit has also said it wants to one day use the SpO2 sensor on its new Ionic watch to detect sleep apnea, and Verily is developing a smart contact lens to monitor glucose as well as AI tech to diagnose heart disease. The FDA said the goal of the program is focus on the company rather than individual products. It says it wants to be able to “determine whether the company meets quality standards and if so, to precertify the company.” The agency added that companies gaining precertification “may not have to submit a product for premarket review in some cases.” That means Apple's next innovation might get a green light from the FDA even without needing to test the specific product. Among the other companies participating are Alphabet’s Verily Life Sciences, Pear Therapeutics, Johnson & Johnson, Tidepool, Phosphorous, and Roche Holding AG. Why this matters: While this new program will surely give Apple and Fitbit an advantage in the increasingly competitive wearables market, it will also open up innovation across the industry. The more wearable innovations make it to market, the more pressure it puts on the medical industry to adapt, something we’ve already seen with Apple Watches and Fitbit devices. Precertification does raise some red flags, but the companies chosen here insures that consumers’ best interests are still being considered.